Second Lieutenant - John Jonas Jr.
On June 20, 1906, the Minisink Hook & Ladder Co. #1 was born. Prior to this date, it was known as the "Elliot Hook & Ladder Co." The Elliot Hook & Ladder Co. was organized in the 1860's, and existed to June 20, 1906 when it was reorganized to become the "Minisink Hook & Ladder Company #1." April 2, 1906, the Village of Goshen appointed a committee of Hiram P. Tuthill, Ira C. Baldwin, George H. Mills, and W.E. Lovett to reorganize the Elliot Hook & Ladder Company. June 20, 1906, the above committee called a meeting of the citizens who had agreed to become members of the reorganized Hook & Ladder Company at the company parlors on Main Street. At the Village of Goshen meeting on July 2, 1906,the Board approved the name "Minisink Hook & Ladder Company #1 of Goshen, New York" as adopted by the members and issued certificates to the following charter members: Arthur Decker - AO Snow - Ira C. Baldwin - George F. Gregg - Arthur A. Stevens - Harry Weyant - Fred S. Terwilliger - H. Lee Walker - Charles A. Wallace - W.E. Lovett - Russell I. Ashman - Harry A. Morgan - Arthur C. Martin - Augustus E. Hasbrouck - William K. Dickerson - Charles M. Knapp - D.T. Condict - Percy M. Ivory - Leon L. Gardner - Arthur K. Coates - and Frank Drake. From 1906 to 1911, the Minisinks had a horse-drawn hook and ladder wagon. In 1911, the Minisinks got their first mechanized truck. The following item appeared in a New York City paper in regard to this apparatus. "A brand new automobile hook and ladder truck, the first ever seen in the city drove up in front of fire headquarters yesterday, the inscription on the side of the machine was puzzling; it read Minisink Hook & Ladder Co., #1." The Chief and Men approved of the truck but said its thirty (30) foot ladders were a little small for the city. The truck was then taken to Madison Square Garden where it was put on exhibition for the rest of the week before coming to Goshen. The cost of the truck was four thousand five hundred dollars ($4,500). The Village of Goshen paid ½ of the cost with the Minisinks paying the other half. This truck went from 1911 to 1923. In 1923, the Minisinks acquired a Larabee Hook & Ladder truck. The Larabee had wooden ladders whose largest was a 50 foot extension ladder. This apparatus was in service from 1923 to 1954. In 1954, they acquired a 1954 American LaFrance Quad. For the first time in the company's history, they became a hose company as well as a hook and ladder company. The 1954 LaFrance had 750 G.P.M. pump plus a bed of aluminum ladders. These ladders ranged from a 12' roof ladder to a 50' Bangor type extension ladder. The cost of this truck was $22,000 of which the Federal Government gave close to $6,500 towards it. In 1968, the Minisinks purchased a 2,000 gallon tank truck. This was a Chevrolet truck with a body by Amthor. The cost of this apparatus was $11,000. The Village of Goshen paid ½ and the Minisinks paying the other half. It remained in service until 1983, when it was replaced by a 1983 Mack Tanker with an Amthor body. It can hold up to 3,500 gallon of water in its on-board tank. This tanker is still in use by the Minisinks to this day. In 1973, they acquired an 85 foot Sutphen Aerial Tower with a 1,000 gallon pump that costed $105,000. This aerial tower remained in service until 1993, when the Minisinks purchased a 100 foot Sutphen Aerial Tower. This tower can pump 750 gallons of water per minute. It too remains in service to this day. 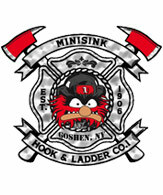 The Minisinks also house the Goshen Fire Police Van. This van is a 1991 Ford E350 with a Reading body. 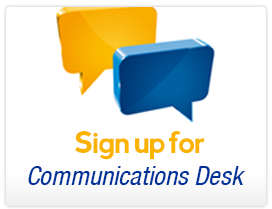 It contains all the tools and equipment to help divert traffic and pedestrians at the scene of an accident or fire. 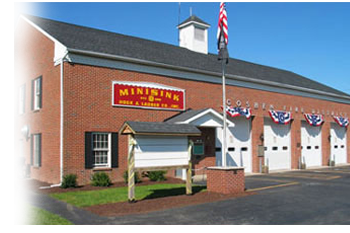 Since the company was formed, the Minisinks have had 6 Fire Chiefs. Leon Downs was the 1st chief, from 1940 to 1944. DeWitt Howell was the next chief, from April 1961 to April 1967. Then came Floyd Howell, Jr. He was chief from April 1972 to April 1975. The amazing part of this, is that Leon Downs was the uncle of DeWitt Howell and DeWitt Howell is the uncle of Floyd (Pete) Howell, Jr., keeping it all in the family. Next came David Quackenbush. He served as Chief from 1981 to 1984. David Finnegan held the post from 1990 to 1992. And the latest Minisink that became Fire Chief was Stephen O'Sullivan. He was chief from 1998 to 2000.